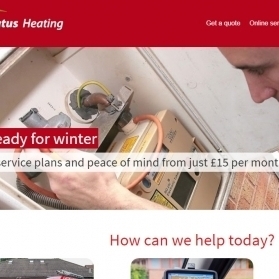 As well as a complete re-design, our brand new CMS and a professional photoshoot, the website also now has an online service facility which allows customers to rearrange appoints, book a service, ask a question, sign up for gold service boiler cover online via direct debit or using a debit/credit card. All 3 sites share a common database for customers & orders, integrated into their Kashflow accounting system and with SagePay to handle debit/credit cards. Beautiful clean designs and outstanding user interface design set these sites apart from the usual cluttered online shops. 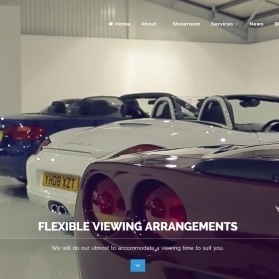 Very modern website offering elite sports cars for sale through beautiful showroom pages that concentrate on the impressive imagery their team produces. Check out the full screen HD video that showcases the service that Nick Whale brings to their customers. We pride ourselves on being able to undertake every aspect of building a website from scratch. This can involve brand identity work (i.e. logo creation), design, HTML, building a content management system and implementing functionality. You may already have some of the above and that’s great – we’ll fit in where you need us to be. However what differentiates us from other designers & developers is our experience and understanding of the businesses and individuals we work with. We also have expertise and skills that allow us to tailor solutions to your needs and tackle more complex areas such as integration with 3rd party systems. We like to get the look & feel right so you’re 100% happy that the first impression is excellent. We usually provide mock-ups at an early stage so you can see your website start to come to life. 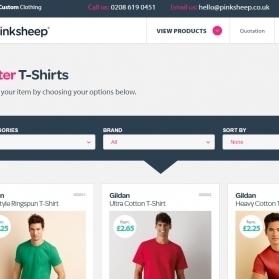 This can be as straightforward as building in some content management (so you can edit & update the site yourself) through to eCommerce, business logic and processes. Getting the content is the longest process but getting it right is important. You know your USPs and business so we'll need your help for this stage, but we'll help you with formatting, layout and presentation. Once the site is looking good and everything is working, we ask you to test the site to ensure it meets your requirements, we provide training and handle any go-live technicalities. Whether you are a new start up, established company or just in need of a refresh, we can give you an identity to be proud of. We do our own in-house design as well as partner with several design agencies to add more creative flare into the mix. Our in-house powerful content management system (CMS) has been developed with simplicity and usability in mind. Our aim is to empower you to manage your own website’s content with confidence and a fantastic toolkit at your disposal. As part of understanding a clients needs, our eCommerce solutions are always tailored to you, rather than using off-the-shelf packages that you have to conform to. Whatever your requirements from a simple entry-level shop right up to a complex retail/trade portal – we can make it happen. If you have a back-end system, CRM, accounts package, email marketing software or something else – we can get your website talking to it. This can be a simple link with data flowing in one direction or go as far as driving your business processes and workflows. Every project is different and our involvement might just be one stage or the entire package – so the costs can vary. We’ll always try to work with whatever budget you have available, but as a rule of thumb a sensible budget for a ‘typical’ website would be £1,500. There are many things that go hand-in-hand with websites. You’ll need hosting and a domain name to get your website live. You may also want to consider email, email marketing software, search engine optimisation and marketing in general. If you're concerned about trustworthiness and security, you should also opt for an SSL certificate - don't worry, we can handle that for you too! It’s important to look after your website, help it grow and attract visitors in order for it to be a success. We’ll take care of all the technicalities such as setting up Google Analytics, Google Webmaster Tools, handling migration from any existing website etc. All standard stuff we believe is part of our service to ensure that all bases are covered.